Four leading education and healthcare organizations announced a new education program to bring world-class practices in strategic decision-making and risk management to healthcare executives and professionals. Critically ill patients on a breathing tube are at risk not only from their injuries or diseases, but also from infections they can contract in the hospital. One of the most common infections is pneumonia from breathing tubes. The philosophy and requirements of ISO 14971 can be applied more broadly within the healthcare setting. In medical device design and regulation, risk management has been embodied in the ISO 14971 standard: Medical Devices—Application of risk management to medical devices. 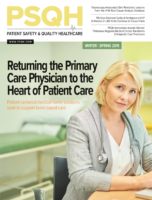 The wrong-site surgery prevention program is one of numerous patient safety initiatives undertaken collaboratively by hospitals in the Greater Philadelphia region since 2006 under the direction of the Partnership for Patient Care (PPC). How to Survive a Medical Malpractice Lawsuit is a manual intended to demystify what one can expect when named as a defendant in a malpractice claim. Given the likelihood that a physician practicing in the U.S. will be sued at some point in his/her career – especially those in “high risk” specialties – this book should have broad appeal in the medical community. Two specific types of vena cava filters, devices used to prevent blood clots from reaching the lungs, appear to have evidence of fracturing inside the body, with some fractured fragments traveling to the heart and causing potentially life-threatening complications, according to a report posted online that will appear in the November 8 print issue of Archives of Internal Medicine, one of the JAMA/Archives journals. Pharmacy OneSource, Inc., software-as-a-service provider to more than 1,300 hospitals in the United States, announced that Wilson Memorial Hospital in Sidney, Ohio has implemented Amplifi to manage their formulary and communicate medication information throughout the hospital. In the first article in this series, we introduced concepts of human factors engineering (HFE) and their application to healthcare. We discussed how healthcare traditionally relies on the “weak aspects of cognition” (short term memory, attention to details, vigilance, multitasking etc.) and how that contributes to many of the errors experienced in healthcare. The short-acting, reversible anticoagulant heparin is widely used in hospitalized patients to prevent the development or extension of potentially life-threatening blood clots. However, numerous issues make the use of this high-risk agent particularly challenging and error-prone.